The best way to get to the German Tank Museum (Deutsches Panzermuseum) in Munster is to fly to the very pretty historical city of Bremen. There are two places called Munster in German. Do not fly to the big city of Munster. The tank museum is in the small town village of Munster. The tram outside Bremen Airport takes you directly to the main railway station. Catch a train to the railway station called Munster(Ortze). Ortze is the name of the local river. From Bremen Hbf main line station it is a 90 minute direct train journey to the east, through the attractive German countryside. You can get tickets at the station. There is no need to book in advance just check what time the last train leaves Bremen in the afternoon. 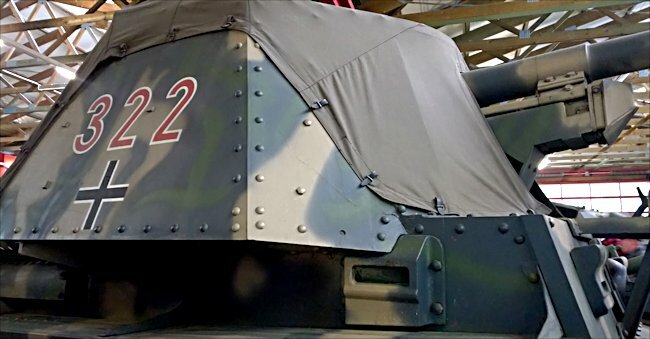 The Tank museum is only a 10 minute walk from the Station. It is in Hans-Kriger-strasse in Munster. There are some good reasonably priced hotels and bars in the town centre. On the way back make sure you spend time in the old part of Bremen. Try the local sausage, draught beer and ice cream before you catch the tram back to Bremen Airport. The gun shield compartment was open so it came with a canvas cover. 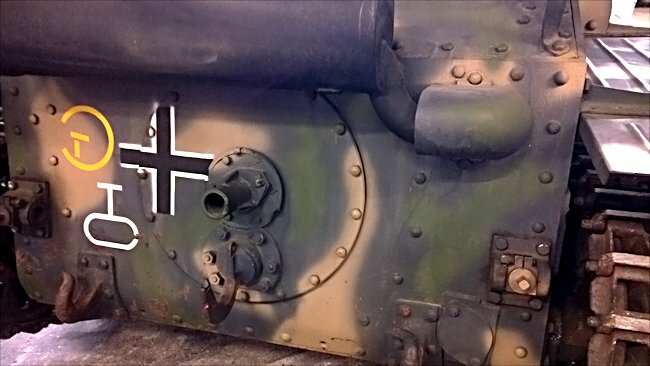 Notice the Marder III driver's side window port. The Marder III Ausf. 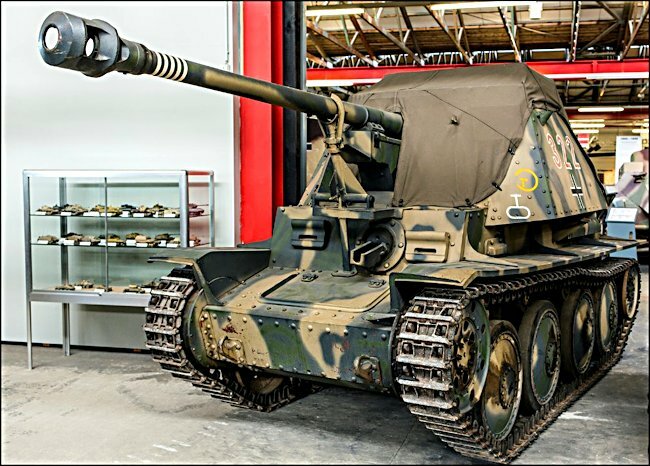 H self propelled gun was based on a Czechoslovakian built Panzer 38(t) tank chassis which was obsolete in 1942. A standard German 75 mm PaK anti-tank gun was fitted to a Panzer 38(t) Ausf. H chassis. 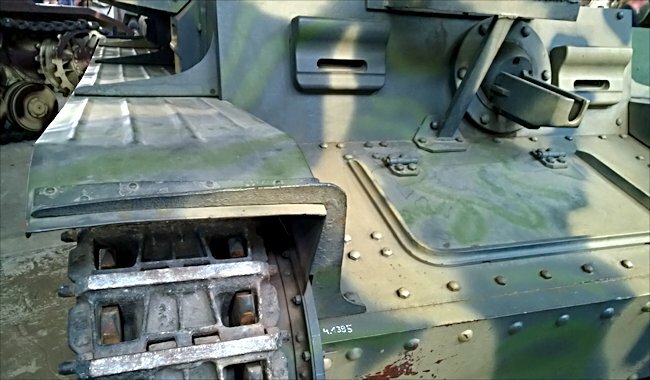 Unlike the pervious Marder III that used the captured Soviet 76.2 mm field gun, the fighting compartment was in the centre of the vehicle and not at the rear. This enabled the gun crew to stay low in the vehicle. The large side armour gave additional protection. The armour thickness ranged from 10 mm to 50 mm. 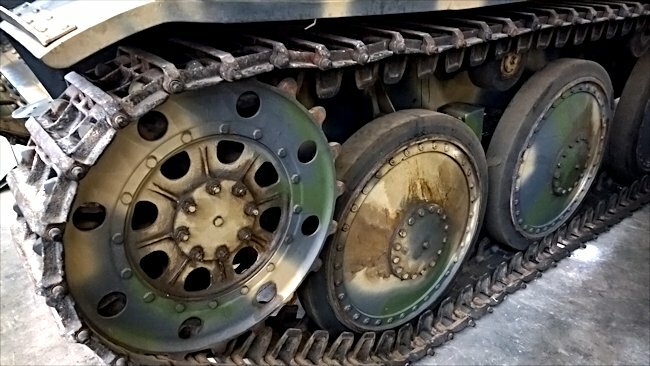 the rear and top of the vehicle had no armour protection. Because the gun was fitted to the top of a tank chassis it had a hull mounted 7.92 mm MG 37(t) machine gun. To start a Jagdpanzer Marder III Ausf. H you had to insert a crank handle into that hole in the rear of the vehicle and keep turning it until the engine spluttered into life just like on an old lorry.